Tamara Van San (Personal show 2018). 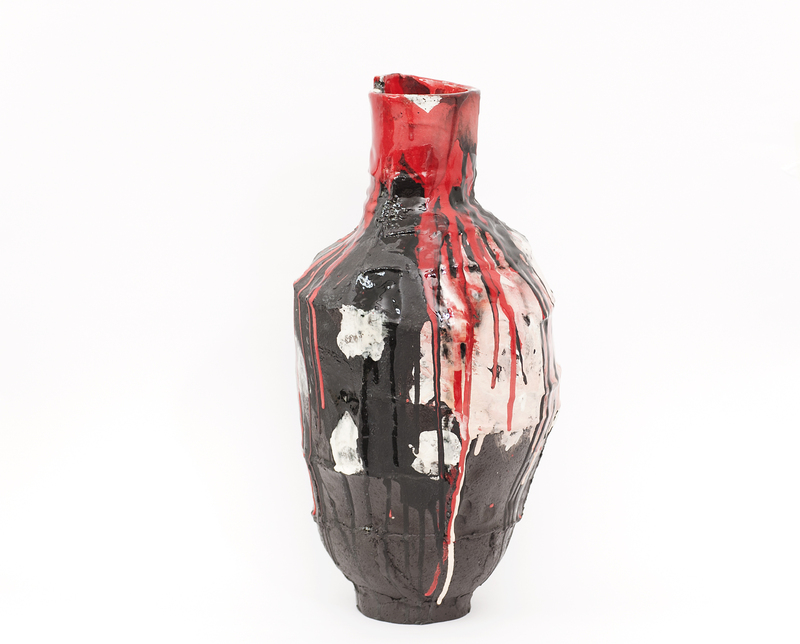 It has been twelve extraordinary years since German-born Elke Sada completed her Master of Arts Degree in Ceramics and Glass at the Royal College of Art in London. 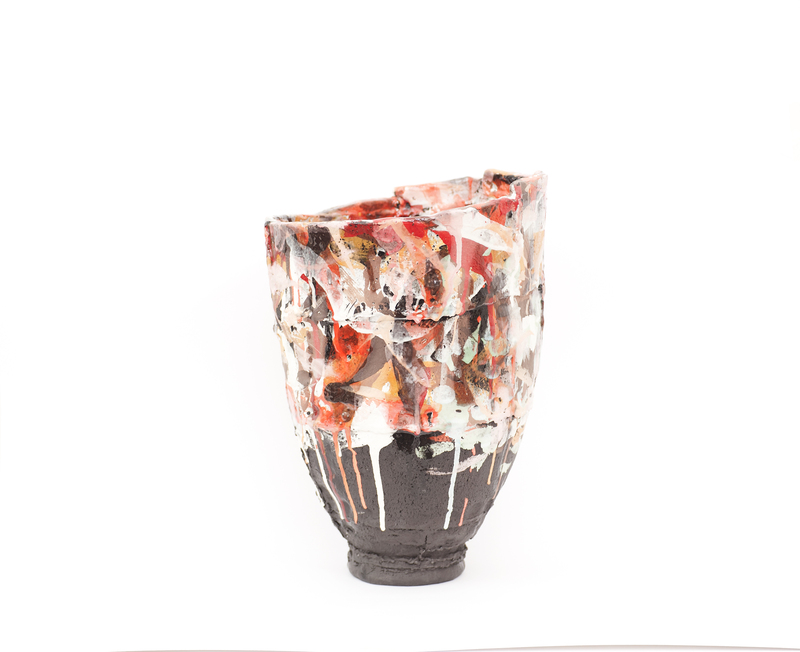 In that time she has established herself as a major talent on the world ceramic art stage. Sada has provided herself with a surprising — if unusual — array of tools and experience that she brings to each of her pieces. The variety of techniques she employs clearly demonstrates a superior grasp of the possible as well as a fascination with the abstract. She combines spontaneity and intuition creating powerful shapes. Although a tribute to the vessel her vital forms are truly sculptural. And she does not stop here. She takes the form onto another level by applying vivid and striking colours with a rigour and vitality into three-dimensional canvas. Clear-cut geometry in form has never been her favourite. Her experimental game with colour becomes an impulsive, physical reaction. Sada is there, tangible in her work. She is sometimes almost out of breath, and it can take your breath away. Her many awards, prizes, and artist residencies attest to her artistic vision. 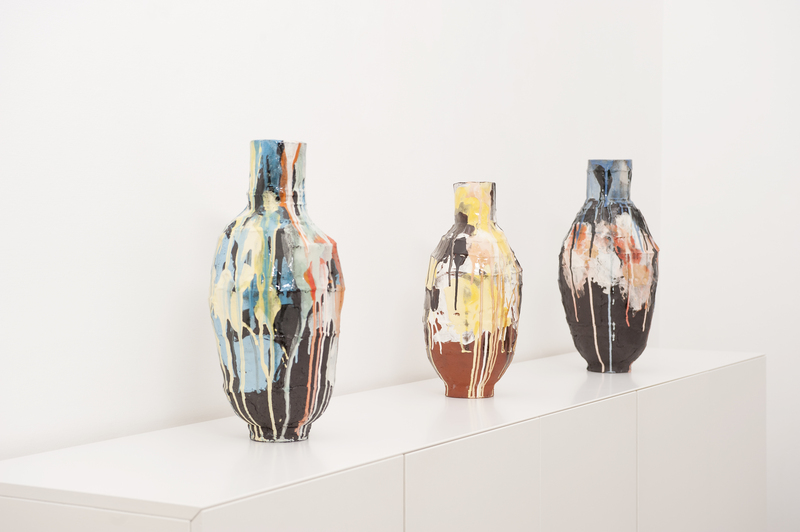 The list of major museums and collections that have acquired and exhibit her works is a veritable Who’s Who of the world’s top public and private ceramic collections. It includes among many others the Musée Ariana, Geneva, The International Design Museum, Munich, and the World Ceramic Center, Icheon, South Korea. Elke Sada has her studio in Leipzig. She has shown widely throughout Asia, Europe, South Africa and the USA.